One of my favorite traditions of the Christmas season is decorating our home. We have some great sentimental ornaments and pieces that we love getting out each year to remind us of Christmases past as well as to help us make memories of anew. And though I don’t plan to replace any of these favorite holiday decorations, I’ll be the first to admit that it’s just as exciting to have new pieces to decorate with as well. Problem is, I’d much rather put our hard-earned money into gift giving than decor. Good thing there’s such a thing as DIY! I thought I’d give myself the challenge this year of making new and classy decor using only dollar store supplies. 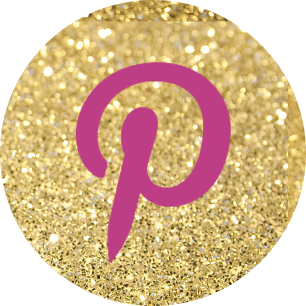 With a bit of web searching for inspiration, I bring you 10 SPECTACULAR ways to decorate for the holidays (from the dollar store)! Use this link if shopping online–Faux Sho readers will get a special Dollar Store discount! 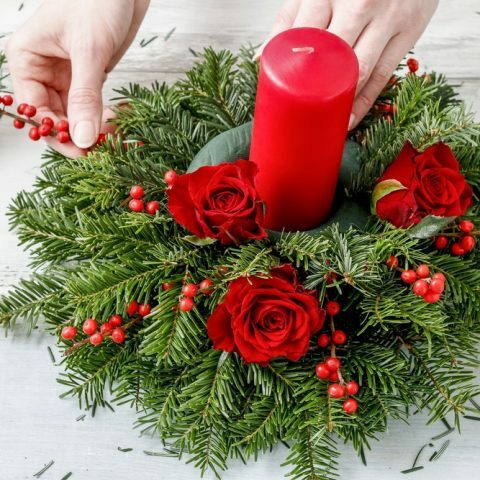 Candles are always a good idea during the holidays! And they couldn’t be easier with this bright dollar store hack. 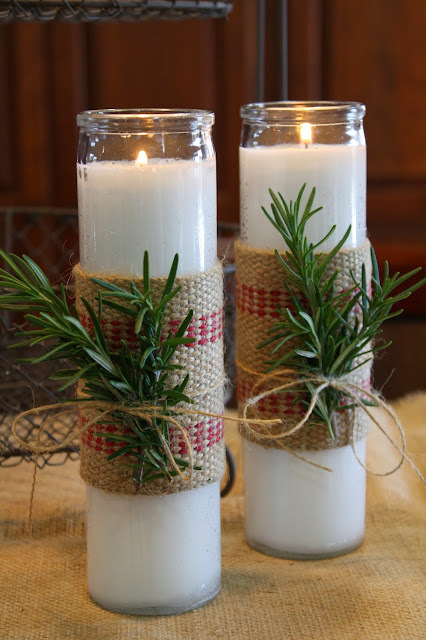 The fabric and rosemary really capture the spirit of Christmas. Find some greens with holly for an additional splash of red. Idea source. Wreaths and Christmas go together like Santa and his elves. Too bad it can be hard to find the perfect ready-made wreath from the stores. It seems like I always find a wreath I like but when I get it home, its not the right shade or size or something else. But not to fret with this dollar store holiday DIY. 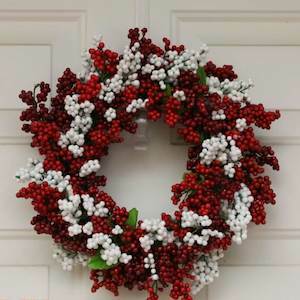 All you’ll need to purchase is a wreath form and berry bush stems from the floral aisle. Use hot glue to assemble. Find the complete tutorial here. 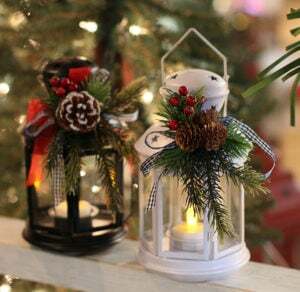 Glue ribbons and greenery to a lantern for a cozy Christmas feel. How illuminating! Find the lanterns from Dollar Tree here. Deck the halls with boughs of garland. 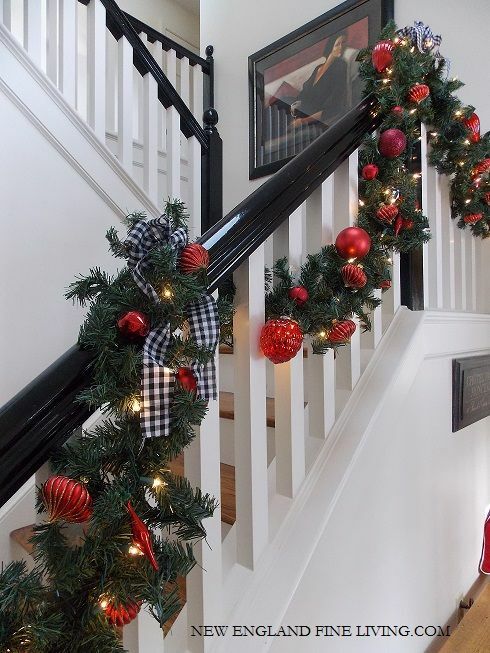 Use dollar store garland (purchase here), ornaments, and ribbon to adorn your staircase banisters. Fa la la la la la la la la! Image source. Embellish your kitchen cabinets with some festive reds and greens. 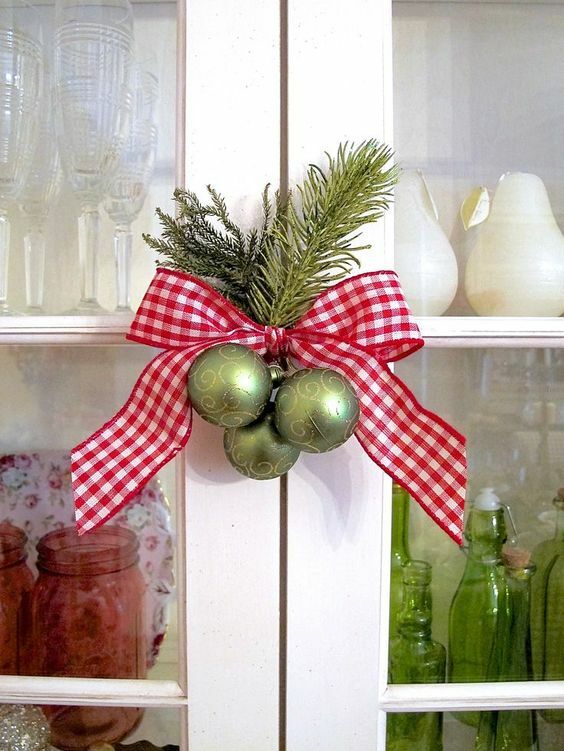 Get the look by tying some evergreen branches together with ribbon. Include some ornaments at the bottom for a fuller, more cheerful feel. Image source. 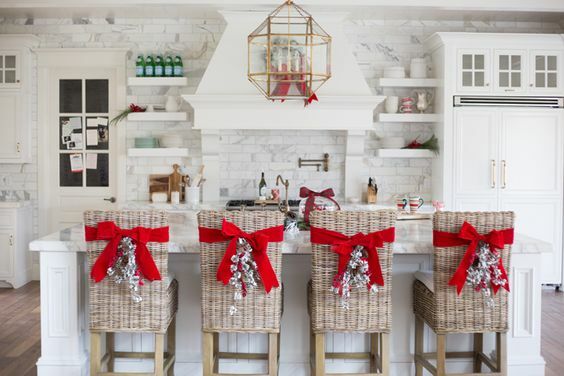 Create this winter wonderland kitchen by tying red ribbon around your chairs and hanging white frosted garland from the knot. Such a simple yet classy look! Via. Keep it sweet and simple with a sweet candy cane garland. This would be so cute above your windows or even on the fireplace mantle. 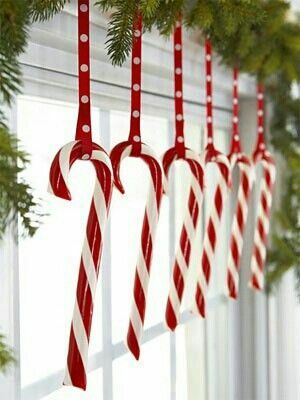 Use dollar store ribbon to hang candy canes from a strand of garland. Idea source. Sugarplum fairies and raggedy dolls will agree that a nutcracker display is festive indeed. 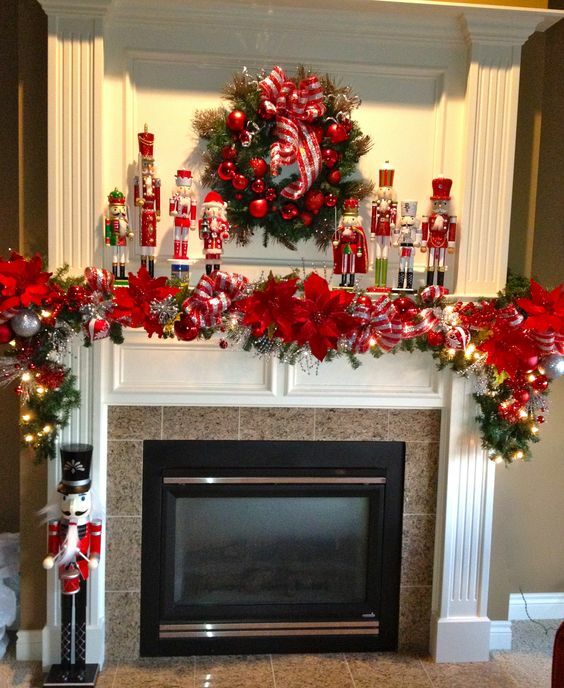 Use your new dollar store wreath and bow-adorned garland as a base to this fantastic nutcracker vision. I love that each nutcracker is only $1!! Here comes Santa Claus with this fun Christmas bucket. Fill it with a small evergreen or poinsettia for a cute display around the home. Another way to use dollar store buckets in your home this Christmas season is with this joyful display. 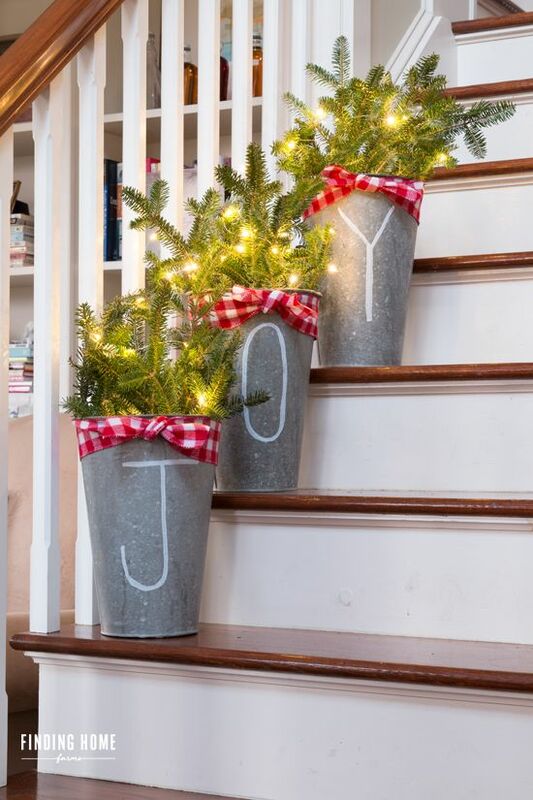 Paint J-O-Y on plain metal buckets, fill with evergreen and lights, and add a splash of red ribbon at the top. It brings me joy to think that I can make such a great display for under $10! DIY.